You are here: Home / All Posts / Day 37 – Power & Speed 4 – STILL TOUGH! Day 37 – Power & Speed 4 – STILL TOUGH! Please forgive my bad form in this picture – by this stage I needed a little lie down….. and punching felt almost impossible with lead-like arms. BUT I’d just made it to the 7th round so I was nearly done (in more than 1 sense of the word). 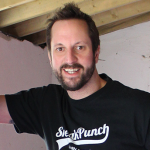 It’s so true when Corney says “the fitter you are – the harder it gets ” . I know it sounds like a bit of an oxymoron, but believe me it’s true. It does get harder and harder and I might look like I’m dying, but it’s one of the things I love about boxing. It’s so progressive – you get fitter, give it more, learn more, and it never stops. It never gets easy. 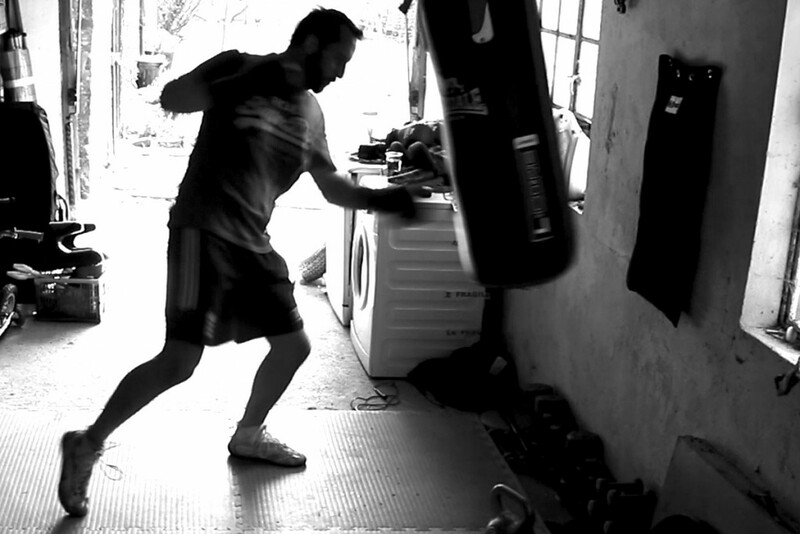 Today was my 3rd go at Power & Speed 4 punch bag workout and I stupidly thought it might feel a bit easier this time. I knew what to expect after all. 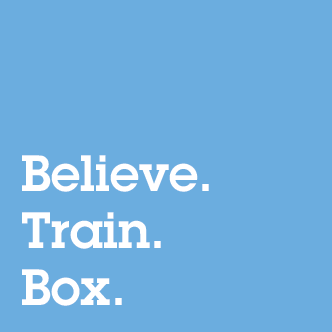 However – in reality what happened was that I worked faster and with more power – not on purpose to be honest – I just find that this always happens when I box. 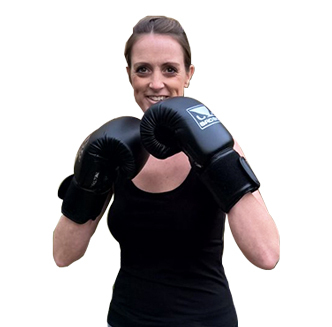 I found myself jumping higher for the stance jumps, punching harder and faster during the speed drills and packing in as many combinations as I could during ‘keeping up with Corney’ at the end of the session. I truly believe I just managed to fit in at least a third more combinations and exercises than I did first time around. Once again leaving everything on the bag and stumbling out of the garage feeling empty, but satisfied. 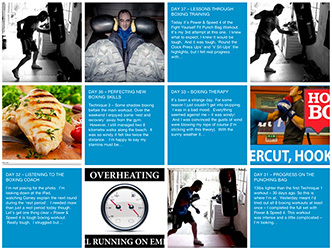 I tried to think back to day 1 and how I felt after the first punch bag workout. It’s hard to imagine feeling so unfit now, but I try to remember the tiredness and lack of motivation. I really am proud of how I’ve raised my fitness level and how much I can feel my techniques have improved too. And it’s just 37 days later. At just under 16lbs lighter, I’m breathing easier, I’m working faster and I feel more toned. 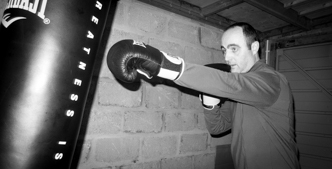 And on top of all of this – the true reason why I’m here – my boxing skills have improved immeasurably. The biggest bonus though has to be how much I’ve enjoyed every second of it – I’ve loved the challenge of fighting myself fit. 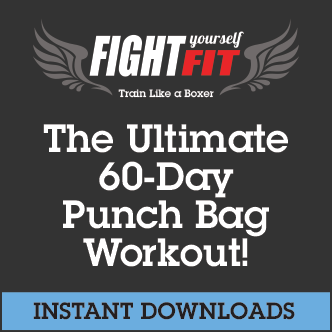 I love the variety of having a different punch bag workout every day, and I love the fact that there are always skills to work on and master. Ultimately I just love hitting that bag and getting such great results across the board is a bonus! 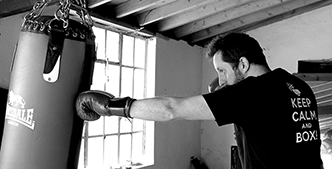 If you’re using a punch bag workout to increase fitness levels – we would like to hear from you! Add any comments below.